Descendants are gathering all information available about their forefather at edwardlloyd.org. The Family Journal of Useful Knowledge (London). London: E. Lloyd. 10 nos. 158 p.
Angelina; or, the mystery of St. Mark's Abbey. A tale of other days . London: E. Lloyd, . 25 nos. 196 p.
The Maniac Father, or, the victim of seduction. A romance of deep interest . London: E. Lloyd, 1850. 50 nos. 396 p.
London: Purkess and Strange, . 11 nos. 84 p.
London: E. Lloyd, 1840. 12 nos. 92 p.
Geraldine; or, the secret assassins of the old stone cross . London: E. Lloyd. 26 nos. 206 p.
Posthumous Papers of the Cadgers' Club, containing the lives, characters, and interesting anecdotes, of the members of that celebrated body . London: E. Lloyd, 1838. 12 nos. 92 p.
"Bos" (pseud.). Barnaby Budge . London: E. Lloyd, . 12 nos. 90 p.
Thomas Prest. The Maniac Father; or, the victim of seduction. A romance of deep interest . London: E. Lloyd, . 76 nos. 604 p.
Tales of the Drama . London: E. Lloyd, 1850. 14 nos. 107 p.
"Bos" (pseud.) (ed.). The Pickwick Posthumous Papers. Containing an account of the Wonderful Discovery Club, and the extraordinary adventures of Pickwick, Sam Veller, Tupnall, Winkletop, &c. &c . Vol. 1. London: Lloyd, 1842. 54 nos. 432 p.
"Bos" (pseud.). The Sketch Book containing a great number of highly interesting and original tales, sketches, &c. &c .
London: E. Lloyd. 12 nos. 92 p.
London: Edward Lloyd, 1845. 25 nos. 198 p.
London: [E. Lloyd]. 20 nos. Mary, The Maid of the Inn; or, virtue in distress . London: [E. Lloyd]. 24 nos. London: E. Lloyd, 1840. 32 nos. 251 p.
Ela, the Outcast; or, the gipsy of Rosemary Dell. A romance of thrilling interest . London: E. Lloyd, . 104 nos. 827 p.
London: E. Lloyd. 72 nos. 572 p.
E. F. Marriot (pseud.). Poor Little Jack; a nautical tale . London: E. Lloyd, 1840. 24 nos. 188 p.
Thomas Prest. Gallant Tom; or, the perils of a sailor ashore and afloat. An original nautical romance of deep and pathetic interest . London: Edward Lloyd, 1841. 18 nos. 140 p.
London: E. Lloyd, . 52 nos. 412 p.
Susan Hoply; or, the trials and viscissitudes of a servant girl. A romance of great power . London: E. Lloyd. 36 nos. 286 p.
Emily Fitzormond; or, the deserted one. A tale of mystery . London: E. Lloyd, . 36 nos. 284 p.
London: E. Lloyd, 1850. 30 nos. 235 p.
London: E. Lloyd, . 28 nos. 220 p.
London: E. Lloyd. 18 nos. 142 p.
Moreton; or, the doomed house. A romance . London: E. Lloyd. 21 nos. 166 p.
London: E. Lloyd, 1842. 52 nos. 412 p.
The Highland Watch Tower; or, the sons of Glenalvon. A romance . London: E. Lloyd, 1842. 36 nos. 284 p.
May Grayson; or, love and treachery. A romance . London: E. Lloyd, 1842. 32 nos. 252 p.
Manuscripts from the Diary of a Physician . Vol. 1. London: E. Lloyd, 1844. 49 nos. 390 p.
Manuscripts from the Diary of a Physician . Vol. 2. London: [E. Lloyd], 1847. 24 nos. 190 p.
Manuscripts from the diary of a physician. New series . Ada, the Betrayed; or, the murder at the old smithy. A romance of passion . London: E. Lloyd. 56 nos. 444 p.
London: E. Lloyd, . 49 nos. 388 p.
London: E. Lloyd. 18 nos. 141 p.
London: E. Lloyd, 1844. 32 nos. 252 p.
London: E. Lloyd. 32 nos. 254 p.
Miranda; or, the heiress of the Grange. A romance . London: Edward Lloyd, . 69 nos. 548 p.
London: E. Lloyd. 41 nos. 325 p.
Gilbert Copley, the reprobate. A domestic romance . London: E. Lloyd, 1844. 24 nos. 188 p.
Don Caesar de Bazan. A romance of Spain . London: E. Lloyd, . 32 nos. 252 p.
Luke Somerton; or, the English renegade. A romance . London: Edward Lloyd, 1845. 32 nos. 252 p.
Eugene Sue. The Wandering Jew . London: E. Lloyd, 1845. 12 nos. 188 p.
London: E. Lloyd, 1844. 32 nos. 254 p.
Jessie Arnold; or, the murder at the old well. A romance . London: E. Lloyd, 1852. 19 nos. 148 p.
The Lone Cottage; or, who's the stranger? A romance . London: Edward Lloyd, 1845. 35 nos. 276 p.
The Black Mantle; or, the murder at the old ferry. A romance . London: Edward Lloyd, 1846. 54 nos. 428 p.
London: E. Lloyd, 1851. 53 nos. 419 p.
London: E. Lloyd, 1846. 12 nos. 94 p.
London: Edward Lloyd, 1846. 60 nos. 476 p.
The Death Ship; or, the pirate's bride and the maniac of the deep. A nautical romance . London: E. Lloyd, 1846. 32 nos. 252 p.
Marianne, the child of charity. A domestic romance . London: Edward Lloyd, 1845. 34 nos. 270 p.
Jane Shore; or, London in the reign of Edward the Fourth. An historical romance . London: E. Lloyd, 1846. 40 nos. 318 p.
London: E. Lloyd, 1846. 54 nos. 428 p.
London: E. Lloyd, 1851. 49 nos. 390 p.
The Duchess. A domestic romance . London: E. Lloyd, . 36 nos. 283 p.
Clarisse; or, the merchant's daughter. A romance . London: E. Lloyd, 1847. 89 nos. 708 p.
Helen Porter; or, a wife's tragedy and a sister's trials. A romance . London: E. Lloyd, . 103 nos. 840 p.
London: E. Lloyd, [c. 1852]. 25 nos. 196 p.
The Love Child. A romance . London: Edward Lloyd. 59 nos. 467 p.
The Lady in Black; or, the widow and the wife. A romance . London: E. Lloyd, . 71 nos. 564 p.
Varney the Vampyre; or, the feast of blood. A romance . London: E. Lloyd, . 109 nos. 868 p.
Varney, the Vampyre; or, the Feast of blood . London: E. Lloyd. 49 nos. 470 p.
The Green Bushes; or, a hundred years ago. A romance . London: E. Lloyd, 1847. 8 nos. 62 p.
The Green Bushes; or a hundred years ago. A romance . London: E. Lloyd, 1851. 8 nos. 62 p.
London: E. Lloyd and Purkess. 8 nos. 58 p.
The Black Pirate; or, the phantom ship. A romance of deep interest . London: E. Lloyd. 36 nos. 285 p.
Wilhelmina Johnson. The Ranger of the Tomb; or, Gipsy's prophecy. A romance . London: E. Lloyd, 1847. 34 nos. 268 p.
Jeannette and Jeannot; or, the conscript's vow. A romance . London: E. Lloyd. 24 nos. 182 p.
The Ordeal by Touch. A romance . London: E. Lloyd, . 12 nos. 91 p.
George Dibden (sic) Pitt. The Sea-Fiend; or, the abbot of St. Mark's. A legendary romance . London: Edward Lloyd, 1846. 17 nos. 133 p.
Seduction; or, the perils of a woman's life. A romance . London: E. Lloyd, 1846. 36 nos. 284 p.
The Convict: a romance . London: E. Lloyd, 1846. 20 nos. 156 p.
London: E. Lloyd. 16 nos. 126 p.
London: Edward Lloyd, 1846. 22 nos. 171 p.
The Apparition: a romance . London: Edward Lloyd, 1846. 23 nos. 180 p.
Thomas Prest. The Gipsy Boy. A romance of the woods and the wilds . London: E. Lloyd, [c. 1847]. 58 nos. 462 p.
London: E. Lloyd, 1847. 34 nos. 270 p.
Ellen T—. Rose Sommerville; or, a husband's mystery and a wife's devotion. A romance . London: E. Lloyd, . 22 nos. 172 p.
Retribution; or, the murder at the old dyke. A romance . London: E. Lloyd, 1847. 37 nos. 292 p.
Mary, the Primrose Girl; or, the heir of Stanmore. A romance . London: E. Lloyd, . 34 nos. 268 p.
The Ocean Child; or, the lost vessel . London: E. Lloyd. 12 nos. 96 p.
Hannah Maria Jones. The Curate's Daughters; or, the twin roses of Arundale. A domestic romance . London: E. Lloyd. 31 nos. 244 p.
London: E. Lloyd. 72 nos. 570 p.
The History and Lives of the Most Notorious Highwaymen, Footpads, Murderers, brigands, pickpockets, thieves, banditti, and robbers of every description . London: Purkess, Strange and Lloyd. 60 nos. 476 p.
Amy; or, love and madness. A romance . London: E. Lloyd, 1847. 54 nos. 430 p.
The Child of Two Fathers; or, the mysteries of the days of old. A romance of deep interest . London: E. Lloyd. 39 nos. 309 p.
The Dream of a Life. A romance . London: E. Lloyd, 1847. 16 nos. 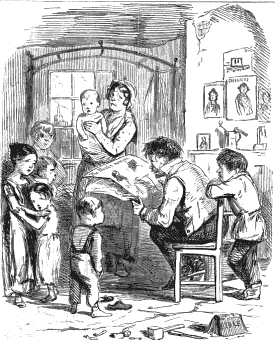 124 p.
Evelina, the Pauper's Child; or, poverty, crime and sorrow. A romance of deep pathos . London: E. Lloyd. 20 nos. 158 p.
Lucelle; or the young Indian. A romance . London: E. Lloyd. 7 nos. 54 p.
The Arabian Nights' Entertainments; or, the thousand and one nights. Accurately describing the manners, customs, laws and religion, of the eastern nations . London: E. Lloyd. 39 nos. 308 p.
The Divorce; or, the mystery of the wreck. A novel . London: E. Lloyd, 1847. 22 nos. 172 p.
London: E. Lloyd, 1847. 49 nos. 388 p.
London: E. Lloyd. 10 nos. 78 p.
The Pirate Queen. A romance . London: E. Lloyd. 6 nos. 46 p.
The Widow Mortimer; or, the marriage in the dark. A romance . London: E. Lloyd. 12 nos. 94 p.
London: E. Lloyd, 1847. 13 nos. 99 p.
The Orange Girl of Venice. A romance . London: E. Lloyd. 11 nos. 84 p.
London: E. Lloyd, . 11 nos. 84 p.
The Appointed Hour; a romance of Venice . London: E. Lloyd, . 20 nos. 156 p.
The Adventures of a Vagabond. A romance . London: E. Lloyd. 29 nos. 229 p.
Mildred Winnerley; or, The curse of beauty . London: E. Lloyd. 19 nos. 150 p.
London: E. Lloyd. 45 nos. 358 p.
The Harvest Home. A domestic romance . London: E. Lloyd, . 42 nos. 332 p.
London: E. Lloyd. 19 nos. 147 p.
The Protector's Secret; or, the Puritan's daughter. A romance . Lady Hamilton; or, Nelson's legacy. A romance of real life . London: E. Lloyd, . 12 nos. 92 p.
Agnes the Unknown; or, the beggar's secret. A romance . London: E. Lloyd, 1849. 24 nos. 190 p.
The Lady Godiva; or, Peeping Tom of Coventry. A romance . London: E. Lloyd, . 31 nos. 244 p.
Jack Junk; or, the tar for all weathers. A romance of the deep blue sea . London: E. Lloyd. 22 nos. 174 p.
Love and Mystery; or, married and single. A romance . London: E. Lloyd, 1849. 52 nos. 411 p.
The Brigand; or, the mountain chief. A romance . The Robber's Wife. A domestic romance . Jonathan Bradford; or, the murder at the road-side inn. A romance . London: Lloyd, . 20 nos. 155 p.
Captain Hawk; or, the shadow of death. A romance . London: E. Lloyd, 1851. 66 nos. 524 p.
London: E. Lloyd, . 66 nos. 524 p.
The Life and Adventures of Tom King the highwayman . London: E. Lloyd, 1851. 58 nos. 462 p.
London: E. Lloyd. 202 nos. 1614 p.
Gilderoy; or, the freebooter of Scotland. A romance . London: E. Lloyd, [c. 1851]. 23 nos. 183 p.
London: E. Lloyd, 1849. 55 nos. 435 p.
London: E. Lloyd, . 35 nos. 276 p.
Nick of the Woods . London: E. Lloyd. 25 nos. 195 p.
London: Lloyd. 51 nos. 406 p.
London: E. Lloyd. 48 nos. 380 p.
J. F. Smith. Stanfield Hall. A romance . London: E. Lloyd. 59 nos. 470 p.
The Hangman's Daughter. A romance . London: E. Lloyd, . 52 nos. 420 p.
The Black Vulture; or, the rival brothers. A romance . London: Edward Lloyd and G. Purkess. 12 nos. 94 p.
J. H. Ingraham. The Ringdove. A romance . London: G. Purkess, . 9 nos. 68 p.
Julia St. Pierre. A tale of the French Revolution . The Drunkard's Family. A sequel to the Bottle . London: Edward Lloyd. 8 nos. 62 p.
London: E. Lloyd. 6 nos. 89 p.
London: E. Lloyd. 24 nos. 190 p.
Mrs. Emily Carlen. The Temptation of Wealth. A romance .